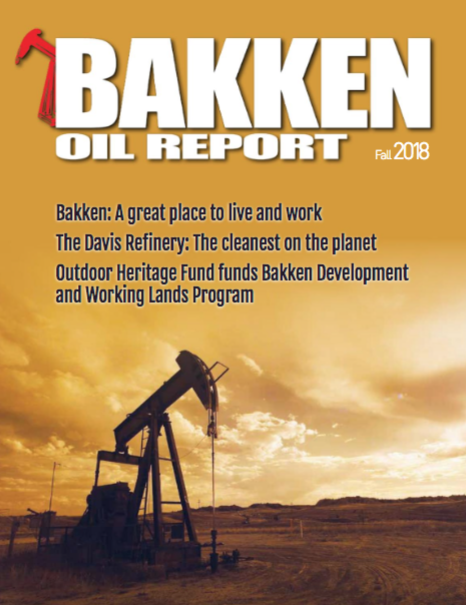 There is a company in the Bakken who has been on a search over the past several years to create something that will effectively change how an industry operates. Meridian Energy Group, Inc. is building a project with a level of comprehensive emission control technology never attempted before. The small start-up company, headquartered in Belfield, North Dakota, is scientifically engineering the Davis Refinery from the ground up – the first oil refinery of its kind to be built in the U.S. in more than four decades. The innovative design of Davis will achieve emission rates so low that it qualifies as a synthetic minor source, the first of its kind in history. Of the many advanced control solutions Meridian is employing, they have proposed the use of latest generation Ultra-Low NOx Burners (ULNBs) in each of its utility boilers and heater furnaces. And for the largest furnaces, Meridian will leverage Selective Catalytic Reduction (SCR) as a post-flue gas treatment to further reduce NOx emissions to single-digit ppm levels. This has been proven to be the most effective way to reduce NOx in a flue gas stream, with reductions up to 95 percent accepted by EPA since the early 2000s. In addition, the company has designed major aspects of the Davis Refinery systems to incorporate vapor capture to essentially eliminate major fugitive emissions from the plant. Again, the combination of these efforts resulted in the ability to pursue permitting of this facility as a synthetic minor source. These methods and calculations have been confirmed by both engineering and permitting teams responsible for making the Davis Refinery an operational reality. Several of the projected emission levels by Meridian have been specified based on manufacturer guarantees and commitments, and on current plant design and information for the Davis Refinery. In every instance, these values are further backed up by test data provided by the manufacturers, suppliers on other sites and sources. In other instances, it is backed up by data obtained from other permitted sources already in operation. An example of how Meridian will ensure the required strict air quality standards are met, a comprehensive and enhanced Smart LDAR program will be used to monitor fugitive emissions throughout the plant. This innovative solution greatly exceeds the current minimum regulatory requirement, which mandates periodic (monthly or quarterly) walkthroughs of the facility to monitor each potential source of unintended leaks, leveraging a hand-held screening device, and for repairs to be completed within a certain timeframe. Unintended leaks usually account for a large percentage of hydrocarbon emissions at refineries. For this reason, and to minimize the potential for unintended leaks at the Davis Refinery, Meridian’s LDAR program will utilize OGI (optical gas imaging technology) to continuously scan the facilities. Given fugitive gases are normally invisible to the human eye, OGI cameras employ specialized infrared filters, enabling them to literally see gas should it ever escape. The Smart LDAR proposed by Meridian will allow automated early detection and notification of unintended leaks as they appear, and the visual confirmation provided by OGI will be extremely useful in pinpointing the exact source to begin the repair process immediately. Since 2015, OGI has been identified by the U.S. EPA as the “best system of emission reduction” for detecting fugitive emissions from new equipment installation, upgrades, and modified sources. Once operational, current regulations and issued permit conditions will require Meridian to ensure that the Davis Refinery meets the emission standards set forth in the approved Permit to Construct application and modeling, via continuous monitoring of the refinery equipment. By law, Meridian will meet regulatory limits specified by the state and the EPA at all times during its operation, and will be monitored continually and reported annually to the North Dakota Department of Health, Air Quality Division. Technology and innovative solutions being employed will enable real-time monitoring of the Davis Refinery not only by Meridian, but also via remote dashboard access provided to the NDDoH. This planned monitoring will be available to the agency, and is a crucial aspect to the success of the Davis project in ensuring it remains the cleanest on the planet, and one Meridian fully embraces and is more than happy to comply with. The best available control technology that will be comprehensively utilized will allow for Meridian’s project to reach the lowest achievable emission rates (LAER) possible. Meridian is confident approval of its Permit to Construct from the North Dakota Department of Health Air Quality Division, will be granted early this fall.